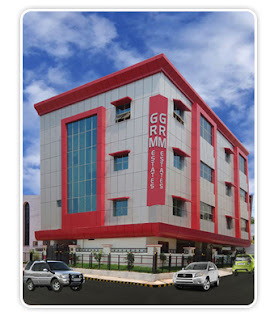 Make your Gold dream come true with GRM Gold India Limited. GRM GOLD INDIA LIMITED is dedicatedly involved in making “Gold Coins” from 2005.It provides gold coins and bar in different carats like 24ct, 1g , 2g, 5g, 10gms, 20gms, 50gms. It gives total assurance of purity gold coins to the customers. Your account in GRM GOLD is called a Holding, which is the record of your activity in GRM GOLD and the gold grams, platinum grams, palladium grams and ounces of silver you own. GRM GOLD is the best way to buy and sell gold, silver, platinum and palladium - it is easy and inexpensive, plus you have the convenience of transacting online. Your precious metals are safely stored for you in an insuredvault. A completelist of fees charged by GRM GOLD can be found in the table of fees in the GRM website. Because GRM GOLD offers numerous advantages not possible with national currencies. These advantages fall into three general categories: peace of mind, ease of use and controlof costs. Your gold always remains safely stored in a high-security vault. 24/7 online accesses provides unmatched convenience. The low-cost of GRM GOLD saves you money. You can make minimum Rs.270/- onwards. There is no limit to the largest gold gram, silver ounce, platinum gram or palladium gram payment.